Are you ready to learn how to unconditionally LOVE yourself and everyone around you? Do you know who you are and why you are here? ARE YOU READY to join the millions and millions of awakened souls from all over the globe into the next phase of your spiritual evolution? Are you ready to learn how to make the most out of each moment and live the rest of your life on PURPOSE? We can help, and I’m not alone. I’ve just joined up with a team of experts and we are going to make a difference! We were recently called to be on an event with world-wide reach; with 25+ incredible way-showers and spiritual leaders who’ve come together at the request of my friend, Mike Picone, a Consciousness Coach for…. Click here to take your power back and be FREE!! We are so excited to share this with you! All of these resources, all this knowledge, will be in one place – you won’t have to search and search – it’s right here, just for you, FREE! Don’t miss this once in a lifetime opportunity to join me and 30+ experts, as we share the very best tips and tricks to help you properly navigate through the shift, elevate your consciousness, raise your vibration, and live out the rest of your days being HAPPY and FREE! >>>> Click here to register for free. We are honored to be part of the latest health and spiritual wellness speaking series with Unbounded Potential this October 2017. Keri will be live on Oct 3 speaking about: Awaken to your Inner Voice. How to live a more joyful life to know exactly what you need to be healthy! Adam will be live on Oct 10 speaking about: Why people get sick and how to overcome it with Energy Medicine! * How to Connect to your Intuition Easily and Effortlessly with confidence. Hint: Everyone can do it! * What You Need to Implement into your Life to find Optimal Health. * How to test your body for supplements, therapies and foods! * How to find the Root Causes of Your Physical Ailments. * How to invite the Angels to aid in your healing path. Course start Aug 17th and space is limited to 20 people. So, if you feel intuitively guided to this course click here to find out more. 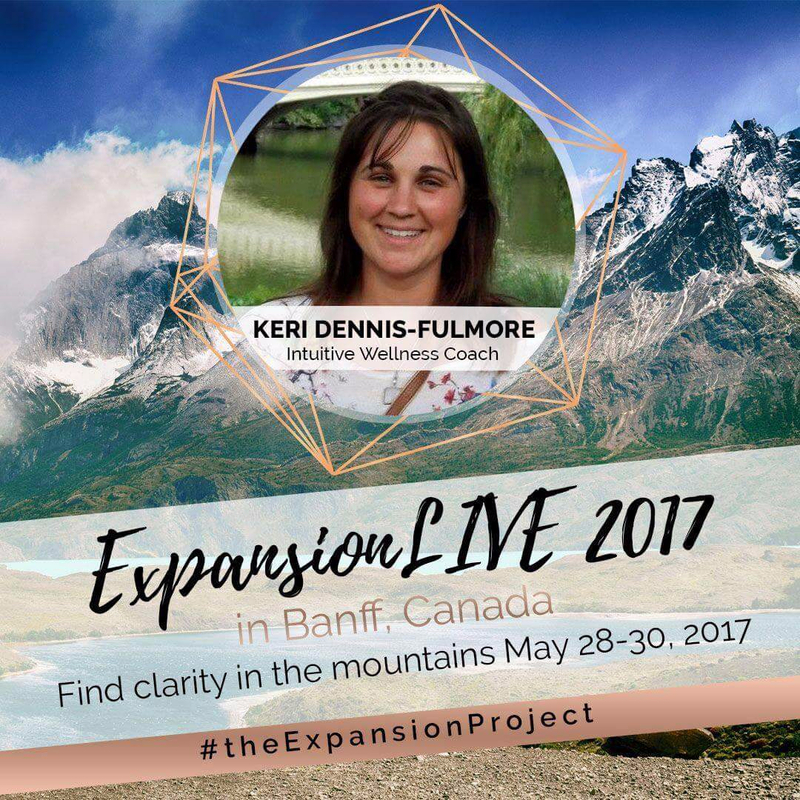 Join Keri Dennis-Fulmore in Banff, Alberta, Canada for ExpansionLIVE this May 2017. Keri will be speaking and hosting a workshop on Self-Healing. This event is for men and women looking to surrender, receive, connect and EXPAND in the awe-inspiring landscape of the impressive Rocky Mountains. The cool, clean air and tremendous view is not only stunning, it also provides a recreational backdrop for The Expansion Project. Stay tuned to upcoming events. To make sure that you hear about our events subscribe to our e-news.